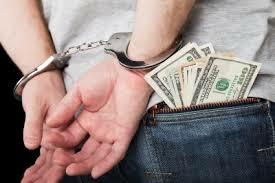 One of the most common theft charges in New Jersey is Theft of Movable Property. “Movable property” refers to anything of value that can be moved from one location to another. NJ prosecutors often interpret the law broadly so that just about anything – cash, jewelry, documents – can be considered “movable property.” Additionally, many theft offenses occur when someone unlawfully enters another person’s home. This means that Theft of Movable Property charges are often accompanied by other charges, such as Theft by Deception, Receiving Stolen Property, and Auto Theft. You could face serious penalties if you are accused of theft. That’s why it is crucial that you contact a lawyer without delay. The Tormey Law Firm is a criminal defense team with lawyers who handle theft cases throughout Essex County, NJ, including Millburn, East Orange, and Caldwell. 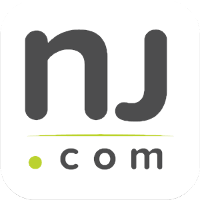 The firm’s founding partner, Mr. Tormey, has been cited by New Jersey media outlets because of his work on several of these cases. Additionally, the firm has a former county and municipal prosecutor on staff, which gives us insight into how the prosecutor in your case will think. Call us today to speak with a member of our litigation team about your Theft of Movable Property charges. Theft of Movable Property in New Jersey is governed by N.J.S.A. 2C:20-3. The statute defines “movable property” as any property the location of which can be changed. This includes things growing on, affixed to, or found in land. It also includes documents. A person is guilty of theft if they unlawfully take, or exercise control over, the movable property of another person with the intent to deprive that person of the property. Keep in mind that you can be convicted of Theft of Movable Property even if you did not actually take or move the property; the charge applies if you simply exercised control over the property. A good example of this is auto theft, which occurs the moment an offender starts the ignition. As set forth by the statute, a person is “deprived” of their property if the property is withheld for any period of time or disposed of so that the owner will be unable to recover the property. If you are convicted of second degree theft, there is a presumption of incarceration. This means that you will face mandatory prison time. The prosecution must prove that you intended to take the item and that you knowingly took the item. This means that a viable defense to a Theft of Movable Property charge might be that you accidentally took the time. For example, perhaps you mistakenly placed an item in your pocket or bag and forget about it. In this instance, you could potentially raise the defense of mistake. The attorneys at the Tormey Law Firm know what it takes to win a theft case. If you have been charged with Theft of Movable Property, call us now at 201-654-3464 to discuss your charges with a member of our legal team. You can also email us to schedule a free consultation at our office in Newark, NJ.